Experience the magic that inspired the readers of Conde Nast Traveler to vote Maui the world's "Best Island" for the past twelve years. Wonder at petroglyphs carved eons ago into cliff walls and lava boulders. Journey back in time with Maui's traditional kahiko hula dancers. 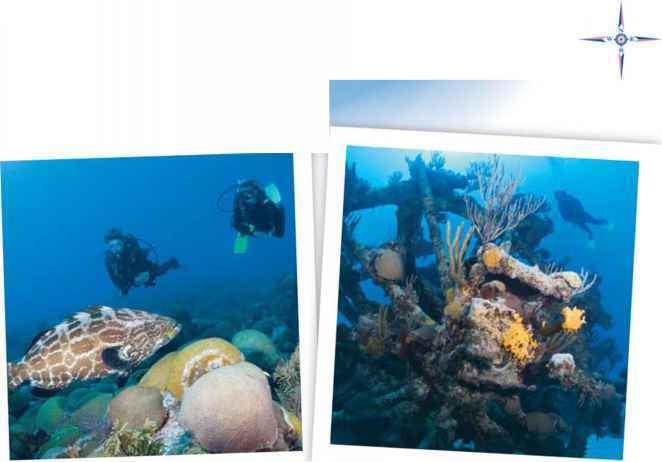 Discover an underwater heaven blessed with angelfish and their tropical brethren. From the bustling whaling town of Lahaina - a National Historic Landmark - to 42 miles of pristine beaches, from the 10,000 ft. summit of Ilaleakala to soaring rain forest waterfalls, from Moloka'i's sea cliffs to LAna'i's timeless Keahikawelo (the Garden of the Gods), the tri-isles of Maui will surprise you and touch you with their heart of "aloha." Come to a place where the people are warmer than the sun. Maui, Moloka'i and Lilna'i - the Magic Isles. 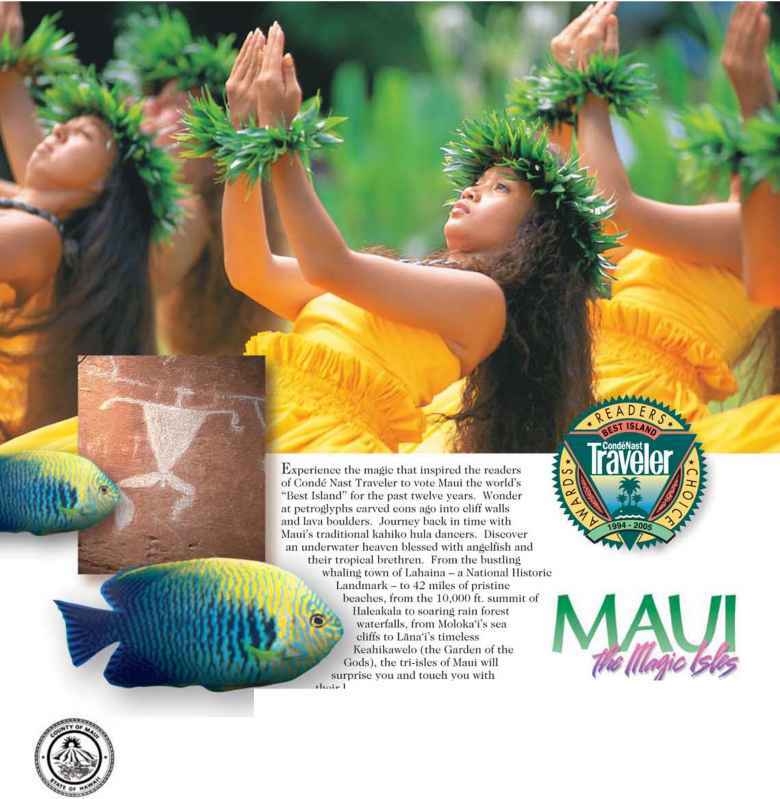 For a free, full-color Maui brochure, call the Maui Visitors Bureau at 1-800-525-MAUI. For more information on Moloka'i, call 1-800-800-6367. For Lana'i, call 1-800-947-4774. Or visit Maui on the web at: WWW.visitlliaui.COlll.